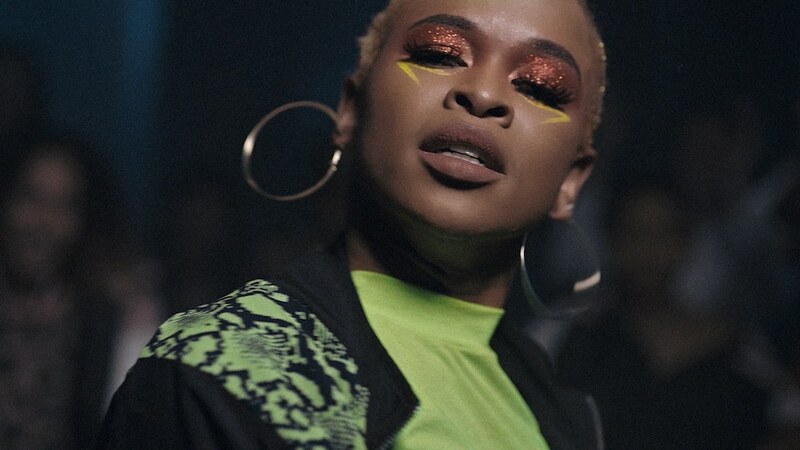 To showcase South African clothing retailer Edgars‘ winter line, agency VML South Africa enlisted the talents of not one, not two, but THREE talented Free The Bid women directors. 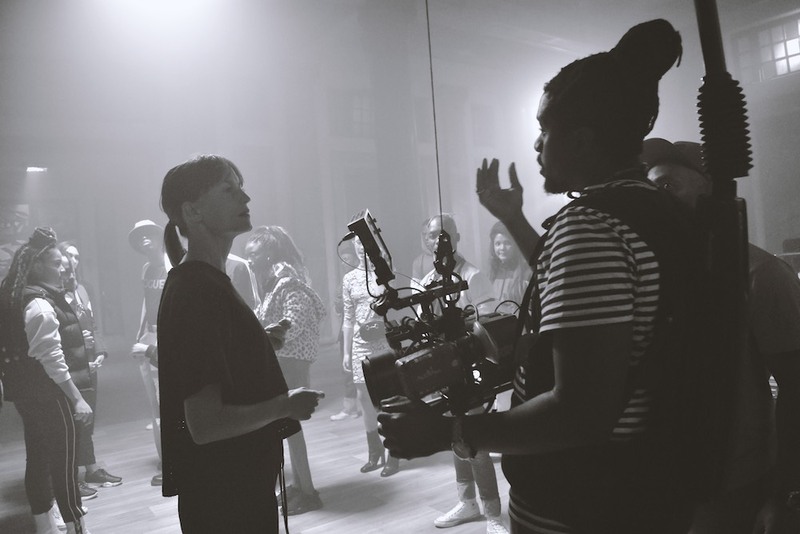 Director Kit, Gale Maimane, and Jeana Theron each brought their unique vision to the table, creating richly textured short branded films that each shine a different light on the Edgars collection. 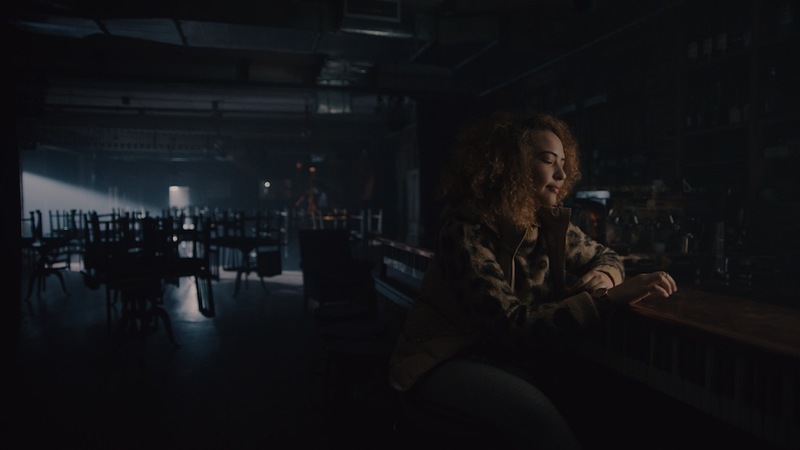 Director Kit’s film finds inspiration in reflection, showing how city living sparks the imagination of a young designer, while Gale takes an intimate look at a talented female musician in the moments before a breakout performance. 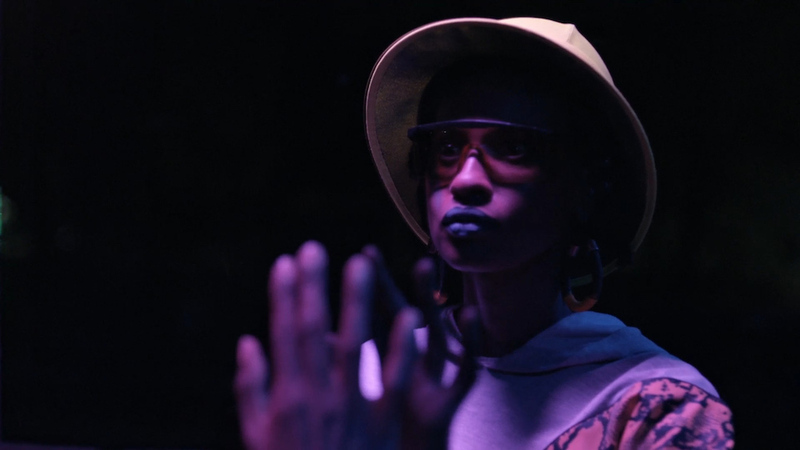 Finally, Jeana’s film takes us right into the center of an underground dance party, feeding off the energy of the stylish crowd. 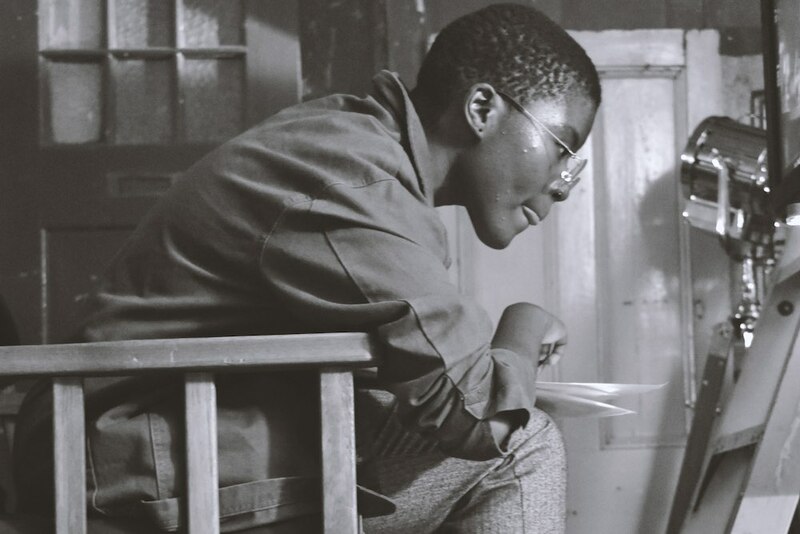 Each of these films captures its own specific flavor, tapping into art, music, dance to provide a vibrant window into South African culture. 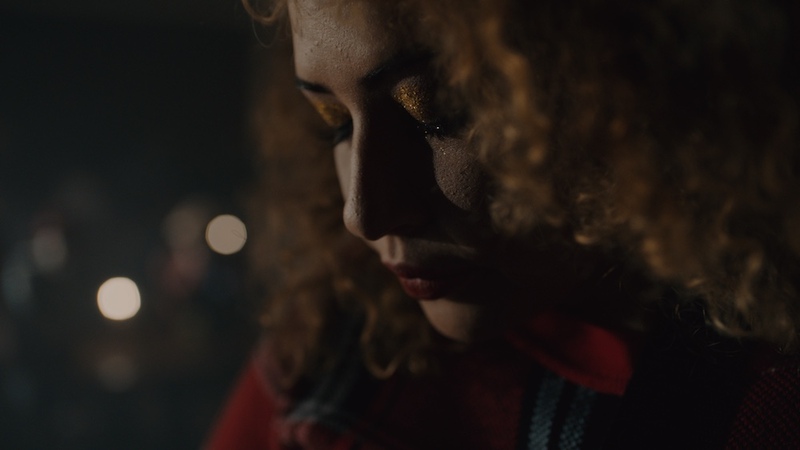 We spoke with the three directors, all signed to the Darling roster, about working within tight time constraints; forging strong relationships with their casts and crews (including Free The Bid colorist Michele Wilson; and the ways in which this project pushed each of them as filmmakers. 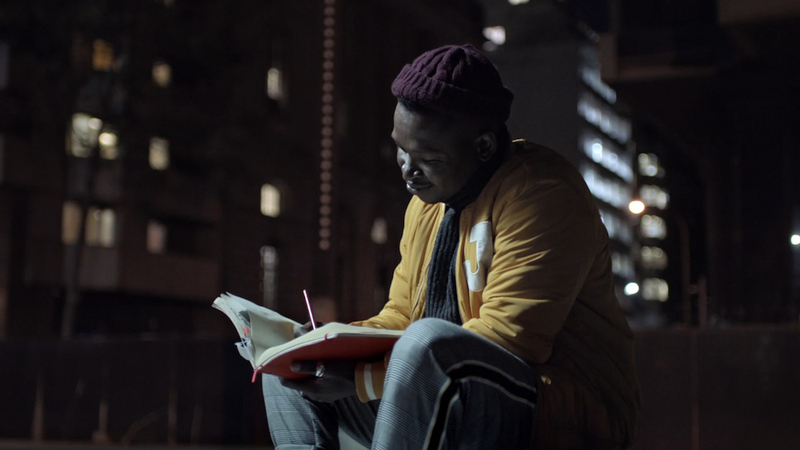 What was your initial idea when presented with the opportunity to create a film for Edgars? Fashion, subcultures and film – three of my favorite things – all presented to me in one brief. It is safe to say that I was excited. The excitement was shortly followed by some light-headedness, but only for a second. My initial idea was about a character who had a talent and an obsession that he eventually hones. Within in a week, that idea completely changed, but funny enough, the spirit of the idea stayed the same. The main thing that stayed the same through the different briefs was the theme of breaking out. How did your idea for the film evolve over the course of bringing it to life? 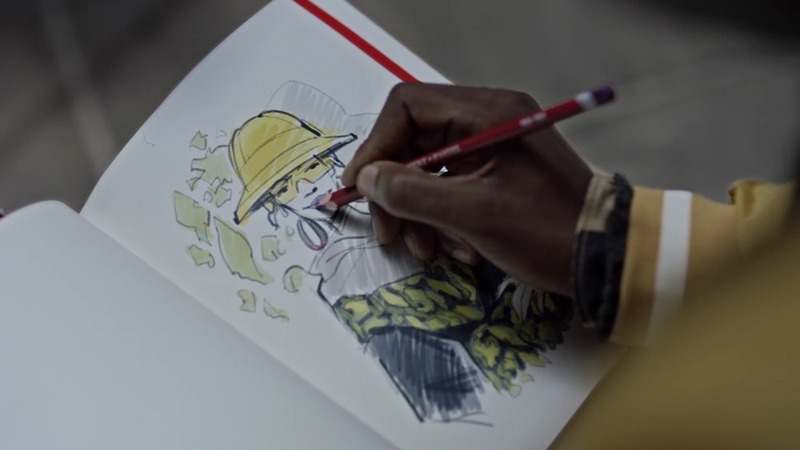 The final brief was about a Daydreamer; someone who was inspired by their city to create art. I wanted to keep the spirit of passion and obsession for a main character alive, and it became a perfect fit for creating a story around a daydreamer, an observer. I had to study and understand the textures and styles in the Edgars fashion ranges, and then reverse-engineer that to fit some of the bold, clean, unique textures of Johannesburg buildings and streets. What were some of the highlights of collaborating with the cast, crew, and agency/client teams that you worked with on the shoot? It was my first time working with some of the cast and crew, some of whose art I already appreciated, so it was a great learning experience. Working with the agency resulted in a creative and dynamic relationship. It was interesting, because although we had a very short amount of time to get the entire project done, we also had to keep in mind that there were three projects happening simultaneously. Every turning point was a highlight. Did you get the chance to push your technical filmcraft in this project? One of the themes I explored was reflection as a tool of inspiration and narration, through glass surfaces and water puddles. I think I was able to really execute it in a subtle narrative fashion with the kind of technical support I had from my team. I also worked with a really great female editor, Marcelle Mouton, who brought in a second layer of storytelling through some simple choices of pacing and color. With the really tight time constraints placed on the project, the end result allowed me to really push and challenge my craft. What elements of the final film are you most excited about? The narrative builds and reveals itself beautifully, and I enjoy watching it unfold. This strong narrative allows the fashion to live in the film, really naturally. The music added the perfect tone for the story – it is all strings and drama. The combination of the fashion, story and music makes for exciting viewing. I get excited at the idea that someone will experience any of this when watching the film. What was your initial idea when presented with the opportunity to create a film for Edgar’s? So when we were presented the idea, the storylines where already set. I was to pitch a story about a young woman who would break out of the shadows of a jazz band lead by men. My thought was, firstly, “breaking free of a man’s world? 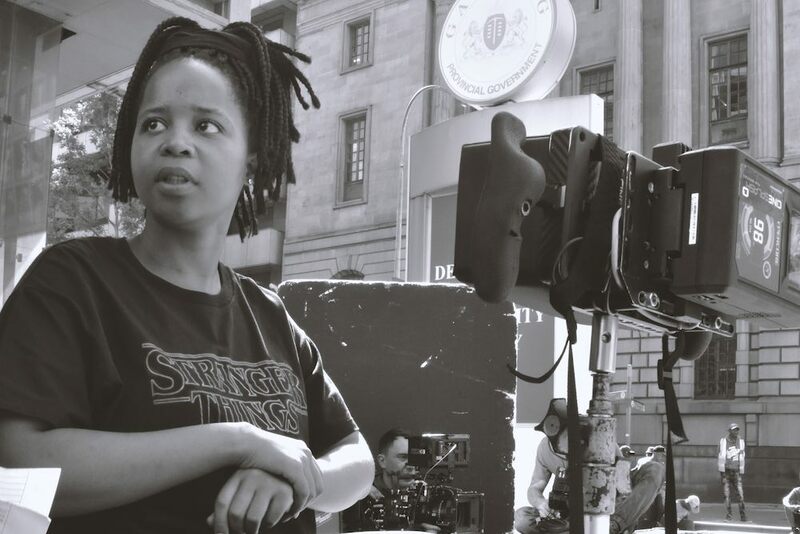 Ha – relatable!” The next thoughts were my first ideas: making this film as close to a reality experienced by all young woman, across all fields. How can I make this a fashionable shout-out to all the girls grinding it out to get their shot? Then, the time pressure and reality of bringing trendy RTW fashion into a narrative that might not herald fashion naturally got me going and influenced my decisions from there. As mentioned above, I saw myself, my friends, and colleagues in this story, so keeping it interesting and relatable was really important to me. A short centered around fashion and an endearing female lead was fun and a joy, as a point of departure. The film’s idea evolved from there. One highlight, for me, was my lead. We had very limited time to craft her performance. She gave it her all, and made the best of the day. She was the last musician to be cast; her performance was, thankfully, one that she understood as a musician, and we drew from that. The second was the agency/client team. The teams from VML and Edgars were so willing to collaborate and roll with the punches that come with having a week to turnaround from pitch to final delivery. I enjoyed how we brainstormed and crafted as a unit. Yes, in the music. We created the song especially for this project. It was a wonderful experience to work closely with the composer and translate Jazz to a feeling that suited the female lead we were creating. Truly, I don’t want to choose, but I think the music and the look of the light – I love it. The reason for the insane deadline is that they wanted to have the fashion films ready to show at the fashion show. In addition to that, we also had a behind the scenes crew and a stills fashion photographer, and all of this needed to be factored in on every shoot – which, of course, would eat into each director’s shooting time. It was as much as a blessing as it was a curse that we had so little time. We had to go with intuition and not question and analyze – which was great. We had an outline for each film: mine was “a dance off”. . I believe I was just lucky. Kit told me about Sne, who was both the lead dancer and the choreographer. I knew the location that I wanted to shoot; the only challenge was that it was a government location, and we weren’t sure if there was enough time to secure it. The location helped me figure out the chronology of the story. I looked at the spaces that it offered and constructed the opening accordingly. Seeing what the dancers could do also changed the flow of the story, along with how they danced. We planned the dances before hand, but I also made up shots and actions as we were shooting. The editor – another woman filmmaker, Jo Gibbon – gave it yet another angle by the way she constructed the edit, which was a refreshing take on how I thought it would play out. It just naturally seemed to grow and we went with it, with our feelings, which was what seemed right. The biggest highlight was when we had the dancers with the extras. The extras had no idea what they were in for, and when the saw how incredible the dancers were, they started cheering – which got everyone going. It was an incredible moment: there was so much energy and excitement. ALL of us fed off of this energy. This was the ultimate collaboration, because EVERYONE was coming together. I got to push myself in how fast I can move, in spontaneity and using my instincts. I got to see that I can pull off something this big and ambitious in a short amount of time. I got to experiment with very contemporary lighting techniques and because it was a fashion film, no one stopped me. Also, things were changing so fast that I had to be really on it – I was almost the AD, because I had information that just couldn’t be communicated through the normal channels quickly enough due to time constraints. The experience really boosted my confidence, showing me I know what I’m doing. I LOVE the music and the sound design. I think that it just tied the whole thing together. I am also really excited about the way it looks and I hope it opens up opportunities to do more gritty, edgy work in the future. I think the performances are amazing the and editing was really clever. I am grateful for the challenges that the whole project presented; luckily, the challenges are things that you can’t see in the final piece, and can laugh about later!